“80% of U.S. disposable income is spent within 20 miles of home.” Much has been written about that statistic. But can it be verified? This study aims to do so. 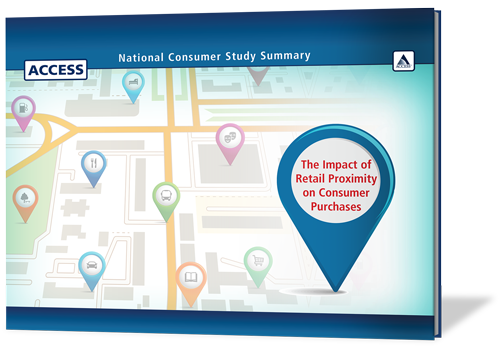 With 90% of all retail purchases made at a brick & mortar store, (U.S. Census) proximity is the essential consideration involved in a consumer’s decision to patronize a merchant. Which retailers have the advantage? How far consumers are willing to travel for their everyday purchases. How far consumers will travel to patronize specific types of merchants. Why brick & mortar stores are more relevant than online-only merchants. How any business (even online and B2B) can take advantage of consumers' local preferences. Fill out the form to access the report, as well as a recording of our webinar, featuring spending preferences broken down by gender, generation, employment status, and more!